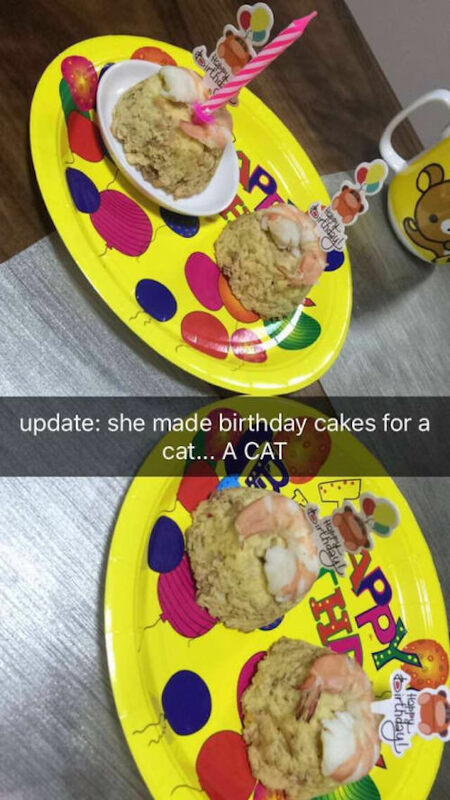 admin December 27, 2018 December 27, 2018 No Comments on You’ll Love How This Cat-Mom Celebrated Her Kitty’s Birthday! The screen name for Imgur user crazycatlady1996 says it all. 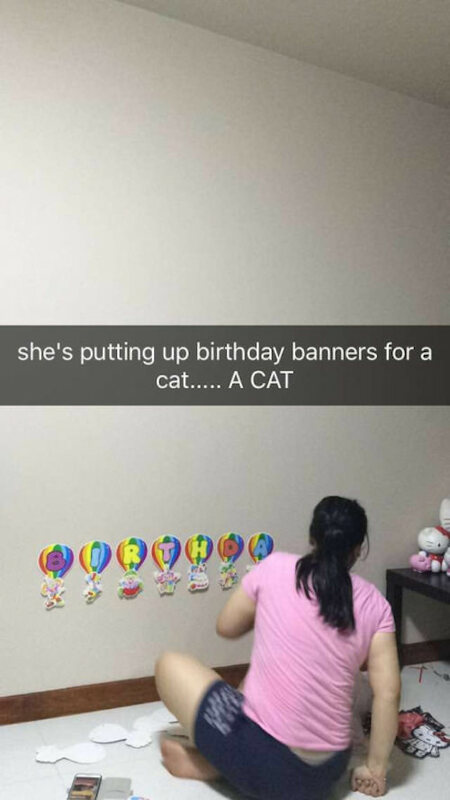 The poster shared photos of a Snapchat story, documenting the preparation for a special kitty’s birthday party! Whoever took and captioned these photos may have found this cat mom’s dedication over-the-top, but we think she loves her kitty the purrfect amount! The first step is birthday decorations, which have to be at cat eye-level, of course. 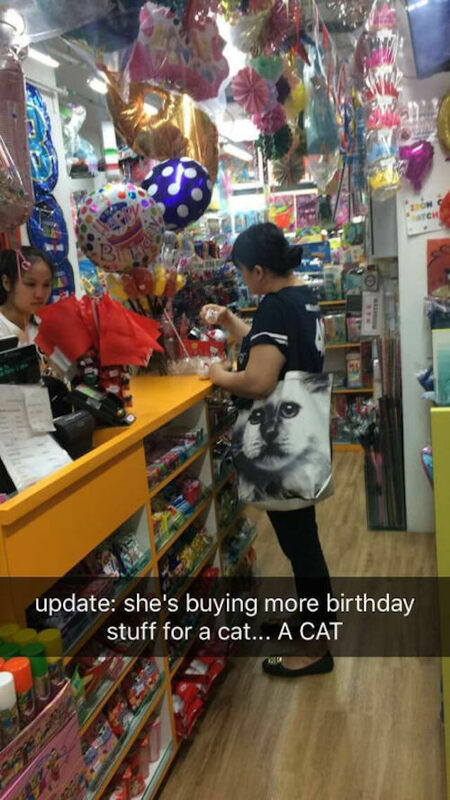 Then, the cat-mom steps out for last-minute supplies, with a cat tote in tow. Better to have too much than too little! No birthday is complete without a delicious cake. This seafood-flavored treat is homemade and feline-friendly! And you can’t forget to make the birthday girl stand out on her special day! This looks like a celebration fit for a princess. The kitty seems quite pleased, too! We love how much this cat mom appreciates her kitty! 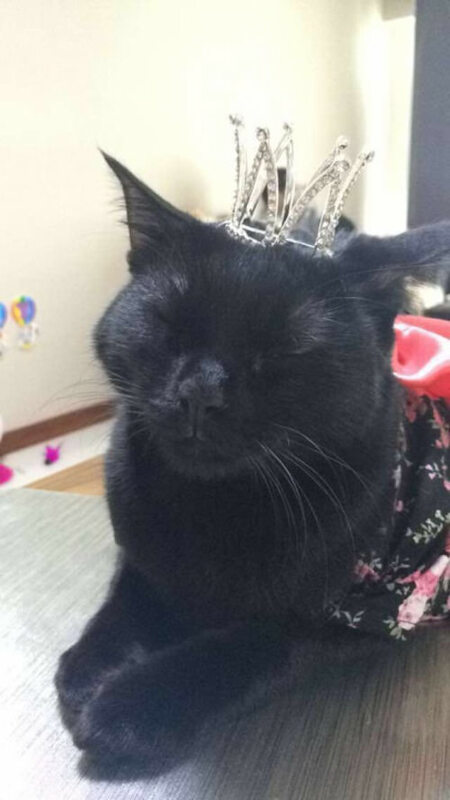 How do you celebrate your cat’s birthday? Tell us in the comments below!